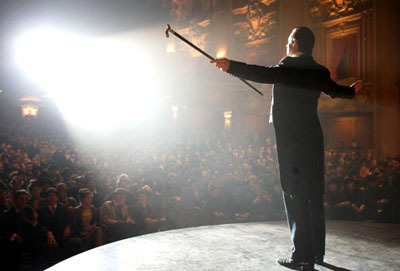 Several scenes in Christopher Nolan's The Prestige were shot at the Los Angeles Theatre and the Palace Theatre. The ornate grandeur of these movie palaces can transport the viewer back in time, as they have for films such as the Oscar-winning The Artist, Christopher Nolan's The Prestige or the upcoming Sacha Gervasi film Hitchcock. 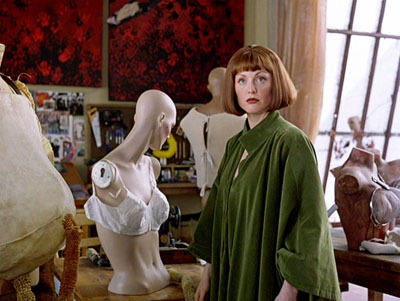 Or they can be used in more contemporary settings, such as in the Coen Brothers' The Big Lebowski. In addition to its spectacular auditorium and stage, the Los Angeles Theatre features an elegant oval-shaped ballroom setting with a beautiful parquet floor. And the Palace features a loft with latticed windows set at a dramatic angle that has been used in a number of highly creative ways.